Shape monster scaffold for art and math lesson. This scaffold has been desgnied for kindergarten students to create a shape monster using coloured paper. 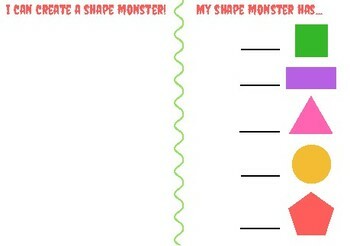 Students can either draw or cut out a varity of shapes to completed their monster.